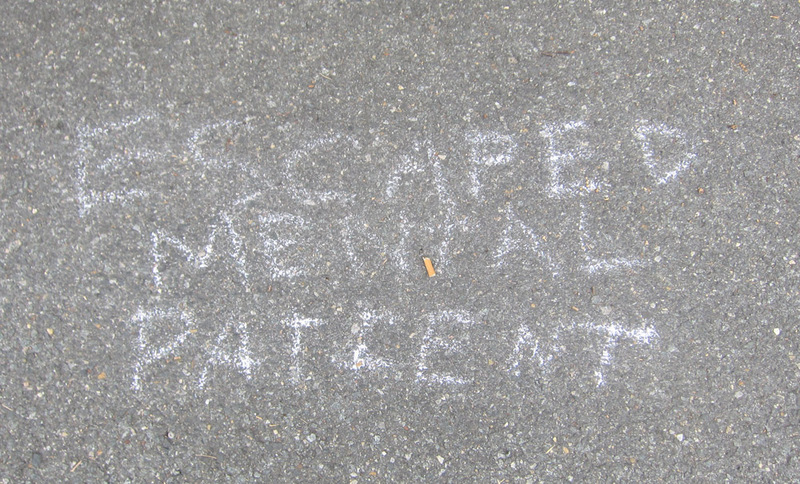 Written in chalk on N. Ft. Myer Dr., near the historically important Westmoreland Terrace condominiums, is "escaped mental patient." This writing is no good reason for fear in the neighborhood. 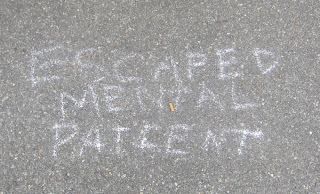 The person who wrote that is probably crazy and delusional and not actually an escaped mental patient.